On New Year’s Day, 1929, during the annual Rose Bowl football game, UCLA’s Roy Riegels recovered a Georgia Tech fumble. Somehow he got confused and ran in the wrong direction after having avoided a tackle. After covering 65 yards and having entered his own end zone, he was convinced by his teammate, Benny Lom, to turn around; he barely got out of the end zone before being tackled by the opposing team. On January 13, 1929 virtually the same thing happened in a game between the New York Rangers and the Detroit Cougars (forerunners of the Red Wings). The Motor City’s Bernie Brophy intercepted a pass coming from behind his own net and, trying to clear it, fired the disc into the net—HIS OWN! The wrong-way goal accounted for the only tally of the game, giving the host club a 1-0 shutout win. 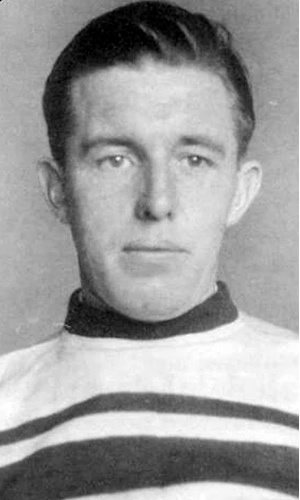 The red-faced Borphy gained an immediate nickname: “The Roy Riegels of hockey”. Many a puckster has been guilty of depositing the old boot heel into his own goal. In January 1950 Detroit’s Harry Lumley was injured and the up-and-coming Terry Sawchuk was called up to replace him. In his NHL debut, two of the markers which ended up in the mesh behind him were deflected by his own mate. Clare Martin was the culprit, with one of them careening in off his skate blade. Examples of players attempting to clear the puck out of their own zone, inadvertently sweeping it behind their own startled net minder are a dime a dozen. Names which come readily to mind are Warren Godfrey (earning him the tag “Wrong Way Godfrey”), Jack Bionda, Rob Murray, Doug Bodger, Steve Duchesne, Uwe Krupp, Robert Reichel, and Sandish Ozolinsh are a few guilty of this crime. One of the most unique settings in which this kind of flub took place took place on February 17, 1934. It was during the heyday of the famed Leaf’s “Kid Line”, of Primeau, Coacher, and Jackson. It was “Gentleman Joe” who was in the spotlight that night. A Boston player had let a shot go, which rebounded off goalie George Hainsworth’s pad and bounded to the slim pivot. Just as he was about to clear the puck, Marty Barry hooked him under the arm, spoiling his aim—with the result that the rubber caromed into the Toronto net. He was so annoyed that he grabbed the puck off the subsequent faceoff, made a bee-line for the Bruin goal, faked a pass that threw the Boston defenders off kilter, walked in on “Tiny” Thompson and scored. He may be the only player in HNL history to register a goal at each end of the rink on successive plays. A few players have put a different spin on the dastardly deed. 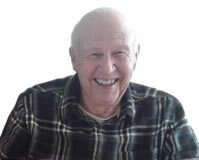 In the mid 1950’s, Leo Labine, the Bruins pepper-pot, won the face off in the opposition team’s zone, and swept the puck back to the blueline for his rearguard. But it bounced over the stick of the awaiting Beantowner, and slid all the way into the yawning cage, vacated for an extra attacker on the power play. Pat Verbeek took a cue from the “Magnificent Screwball”, as he was called. Some 30 years later, delighted in getting the draw cleanly near the opposition goal, the disc went straight as a dye down the ice into the empty net. Not to be outdone, Niclas Wallin wished he was back in Sweden, when this usual scenario started to shape up on a delayed penalty in 2002. Cam Ward was already on the bench to increase the offensive power, when the Carolina defender tried a back pass that slipped off his stick at the wrong angle. Before any Hurricane skater could intercept the errant shot, it was snuggled in the hemp for a score. In the early 1960’s, before Marcel Pronovost and Terry Sawchuk departed the Red Wing’s fold, the former pulled off a duplicate performance. In an interview in 1994 he recalled the night he “scored” three goals on his own backstop. After the game he approached the All Star cage cop to apologize. “Don’t worry. You beat me cleanly on all three!”, came the gracious reply. The outcome of games during which these boo boos take place is certainly significant. Probably the most high profile error of this kind took place during game seven of the 1986 Division Finals. The Edmonton Oilers were aiming for their third straight league crown in a row. Five minutes into the final frame with the score knotted at two goals each, defenseman Steve Smith, in a clearing attempt, banked the puck off goalie Grant Fuhr’s pad into the Edmonton cage. The humiliated Smith saw the match end with Calgary winning on the strength of that tally, to win the series. That gaff has haunted him ever since. After that one year hiatus they won two more Cups. Had they captured the 1986 championship they could have tied Montreal’s incomparable five-year run. Of course there are more ways to prompt this question of allegiance than depositing that piece of vulcanized rubber behind one’s teammate between the uprights. During his tenure in the world’s premier shinny league, Doug Mohns, who was extremely strong, had a wicked shot. In 1956 a Hockey News casual comment reported that he “led the league in disabling teammates”. In short order he had crippled Fernie Flaman with a steaming blast to the ankle; then he broke Jerry Toppazini’s finger with a shot. A little later centre Cal Gardner’s nose bore the brunt of one of his blasts. Other players managed to display another kind of carelessness—using their bodies instead of their sticks—at the expense of their cohorts. Bill Ezinicki was traded from Toronto to Boston in 1950. He was not called “Wild Bill” for nothing. He soon demonstrated to his new mates that he was probably the most feared body checker in the loop. During a team practice one day he managed to flatten Milt Schmidt and fellow “Kraut Line” skater, “Woody” Dumart, within the space of 10 minutes. Tim Horton, even though he was as strong as an ox (he once moved a huge pop machine because he didn’t like its location in his hotel) didn’t have a mean bone in his body. But on one occasion in 1953 he accidently laid a crunching body check to his own defense compadre, Jimmy Thomson. The latter said it was the hardest bump he had ever felt in his career. He commented that it felt like he had been hit by one of his own fuel trucks. (He and Gus Mortson were in business together). It wasn’t the first time his buddy had clobbered him. When they played together in the WHL with Edmonton, Horvath was actually knocked cold by one of “Chief’s” body slams. His vow always to keep his eye open for his pal failed because he couldn’t avoid the collision. “Blue”, he answered, somewhat mystified. “What colour sweaters do the Maple Leafs wear?, Olmstead continued. “Blue.”, he responded, the light beginning to dawn on him. There are still other actions which prompt questions about fraternal loyalty. The 1966-67 season was not a good one for the prickly Eddie Shore. Always unreasonable in the demands he made on his players—besides being as cheap as dirt with them—he antagonized his AHL Springfield crew just once too often. His coach, Harry Pidhirny quit, because the “Edmonton Express” interfered too often in running the club. They went on strike, and, when Shore turned the team over to his son, they maintained if he even stuck his nose in the dressing room again, they would walk out once more. In the midst of all of the hub bub he got into a fist fight with his own goaltender. In 1988 the press got hold of an unusual incident which took place at a Blackhawk’s practice. Dan Vincelette and Marc Bergevin went at it hammer and tongs during a team scrimmage. Not only was it strange that teammates should tangle, but that difference of opinion was accented by the fact that they “lived together”. Actually the latter rented the second floor of his townhouse to Vincelette. After the duel was over, Bergevin threatened to increase his tenant’s rent. Another practice misstep took place at a Washington workout in 1993. Enrico Ciccone, a tough guy the Caps had acquired to add more muscle to the squad, lost his cool when he traded bumps with a fellow DC mate. When Alan May took his feet out from under him as an act of retaliation for a stiff check, he slashed the right winger on the hand and broke it.